Neurolinguistic programming is an essential part of growth and development, whether you are going for personal or professional growth. You can refine your life, your experiences, and your perceptions by being receptive to changing behaviors, beliefs, and attitudes, and all this is possible through neurolinguistic programming. With this audiobook, you will learn to appreciate the fact that you are different from every other person you come across. Whether at work, at home, or when you are catching up with your friends, you are all different. Everyone has a unique perspective on life, based on their experiences, the way they grew up, their environment, the interactions they have, and so many other factors. These differences are not a bad thing. The differences are what make them who they are. Start learning neurolinguistic programming techniques today! It will be useful for you to engage in different circumstances and will improve the relations and interactions with your audiences. This was the best price I could find for the title. I use it for myself personally and to help friends. It has an easy to follow format and you can skip sections to personalize it to your needs without losing the concept of the therapy. .Everyone wants to improve themselves that's why I am glad that I found this audiobook. This book is impressive! Lovely audiobook and I am sure that everyone will love it too! This book is very knowledgeable. Amazing! This book contains lots of interesting material. I find psychology and how our minds work (and control what we do) very interesting. I highly recommend this audiobook! It is a very good book. I love it very much. The content of this book is very easy to understand and interesting. I wish it become very popular and famous. Special thanks to its author. This book is awesome for me. It taught me everything I need to know to improve myself, my emotional intelligence. This book is quite impressive! 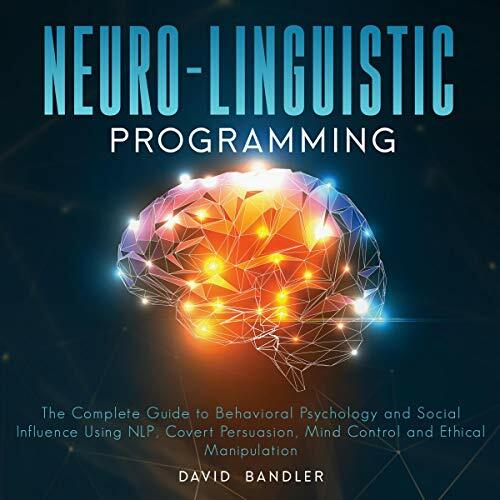 This audiobook is helpful for me since I want to learn more about CBT and NLP. This book is helpful!